Amerejuve Inc., Houston’s #1 Medspa and a subsidiary of American Rejuvenation Centers, announced today the opening of its seventh location in Houston's Memorial area. The newest facility is conveniently located at 1415 S. Voss Rd., Suite 230, Houston, TX 77057 in the Shoppes at San Felipe. The further expansion ensures that Amerejuve's wide range of esthetic and rejuvenation services, which include laser hair removal, wrinkle removal with BOTOX and dermal fillers, photofacial rejuvenation, sunspot and acne removal, cellulite treatment, non-invasive fat removal and body contouring, are further available to the Greater Houston Area, all at affordable prices. With the Memorial expansion and addition of multiple body contouring services, Amerejuve has become the only place in Houston to offer a one-stop-shop of all major non-invasive medspa technologies. Amerejuve's expansion into the Memorial area follows the recent expansion of the medspa's rapid growth to North Houston 1960 and the Woodlands. Amerejuve is now the only place in Houston to offer the very latest in noninvasive body contouring, fat and cellulite removal with ZERONA®, CoolSculpting by Zeltiq®, Fat breaking ultrasound by VASER Shape® and Bella Contour, all of these offer Amerejuve clients pain-free methods of body shaping that work by targeting and then shrinking fat cells that have accumulated around the waist, hips or thighs. The body's lymphatic system then flushes out the released fat, leaving behind a smaller waist, trimmer hips and sleeker thighs. One can expect to lose 3.5 inches off their waist, hips and thighs with ZERONA® once the body flushes out the cells within two weeks after treatment. With CoolSculpting by Zeltiq®, clients will see a noticeable reduction of inches about three weeks after treatment, with results that will continue for the next four to six months as the body continues to flush out the frozen cells. These safe and effective methods of losing fat and dropping inches need no recovery time, cause no bruising, scarring or pain, and are both surgery-free. Amerejuve Memorial’s Grand Opening event is scheduled for November 17th, 2012. To take advantage of Grand Opening Specials, please contact 713-960-6262 or email contact@amerejuve.com, and your complimentary consultation will be scheduled promptly. Amerejuve's extension into the Memorial area comes soon after the launch of its Beautiful Bride® Package, which offers discounted prices on services for brides. Included are the services most requested by bridal clients: laser hair removal, dermal fillers, facial rejuvenation, body contouring, cellulite removal and LATISSE® for full, dark lashes. Amerejuve has also partnered with RedCircle Personalized Weight & Wellness Management to offer a revolutionary option for brides-to-be with their "Wedding Gown Slim Down" program. Their promise is that by following RedCircle's weight and wellness program, each and every bride will fit into her wedding gown by the bride's big day - guaranteed. With a scientific-based weight loss and wellness program designed specifically for each client and formulated according to each individual’s cardiometabolic profile and genetics, weight loss can be simplified, attainable and permanent. 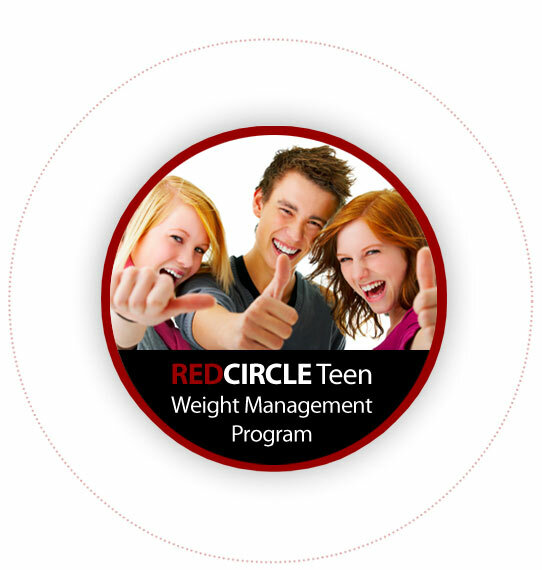 Find out more about RedCircle on their website at http://www.myredcircle.com. With so many locations throughout the Greater Houston Area, Amerejuve has become Houston’s number one provider of laser hair removal, cosmetic and non-surgical skin treatments. MedSpa services include BOTOX®, RADIESSE®, Restylane®, JUVÉDERM®, ReFirme™, LATISSE®, VelaShape™, SmartLipo™, CoolSculpting by Zeltiq®, Zerona®, Bella Contour®, cellulite and circumferential reduction, laser-based skin rejuvenation, skin tightening, microdermabrasion and chemical peels, all available at Amerejuve’s eight state-of-the-art facilities with locations now in Katy, Sugar Land, Clear Lake and League City, Northwest Houston, the Galleria area, The Woodlands and Memorial. To schedule a free consultation at any of the seven Amerejuve locations, please call 713-960-6262 or visit them on the web at http://www.amerejuve.com. Amerejuve can also be found on Facebook (http://www.facebook.com/AmerejuveMedSpa), Twitter (http://www.twitter.com/AmerejuveMedSpa) and YouTube (http://youtube.com/Amerejuve), where they offer weekly prizes and giveaways.